There are only two directions in which to work towards the abolition of dying: either endless prolongation of one’s own life or a sudden common ending of life. In both directions a lot of progress has been made[i]. 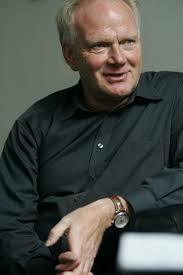 Ulrich Beck, a giant of contemporary social thought, has passed away from a heart attack on New Year’s Day, 2015. Beck’s central proposal was that it was the very success of the project of modernity that was putting it, and ‘us’, under threat. Science and technology, those great bastions of rationality and progress, had created (for some) material comfort, longer lives and technological advancement and, at the same time, produced (for all) new risks that escape the control of nation-states and their borders. As such, his work brought the environment to the fore in sociological thinking, showing that technological ‘progress’ was heralding new, sometimes invisible but profoundly consequential risks for the earth and human life. Life in this emerging global risk society is lived in a constant state of reflexive anxiety in the face of new threats, and ever-increasingly precarious labour markets and unstable personal relationships, where traditional certainties wither and are replaced by an individualised responsibility to make the ‘right’ choices for a good life. His ground-breaking book Risk Society on these new global risks and attendant individualisation was itself a global sensation, now translated in 35 languages, including most recently into Turkish, Vietnamese, and Brazilian Portuguese. In response to this global condition, and countervailing factors pushing toward individual and national isolation, Beck called for a renewed cosmopolitanism. This drove not only Beck’s work, but the way he lived his life. Beck was a central player in public debates about environmental protection, nuclear power and the future of European Union. As a founding member of The Spinelli Group he pushed for a more federalised Europe. His views on the European Union lead him to make criticisms of German Chancellor Angela Merkel, including his recent dubbing of her as Merkiavelli for what he saw as her backroom wielding of undemocratic power over the rest of Europe. Yet, in the wake of the Fukushima disaster and an ensuing Bundestag vote to move to alternative power sources, Dr Merkel appointed Beck to a select committee tasked with guiding Germany to a nuclear free future by 2022. He was one of the foremost public intellectuals in Europe. There are few other sociologists today whose passing would be marked with obituaries in the New York Times, Le Monde, Guardian and Financial Times. His status as a public intellectual is alien to many in Australia, where deep sociological thinkers such as Beck can struggle to find space in public discourse. It will be unsurprising to many that the Sydney Morning Herald and The Australian did not mark his death. Despite his cosmopolitan ambitions and efforts to counter the growth of a ‘world risk society’, he was not beyond campaigning on local issues as well. Perhaps most famously he led a campaign to ‘change’ the name of Max Weber Platz, a square and underground train station in his home town of Munich. Originally named after a local politician, Beck successfully petitioned the local government to ‘rename’ the square Max Weber Platz also after the famous German sociologist. In his obituary for Beck in the German newspaper Süddeutsche Zeitung, Anthony Giddens recalls Beck’s humour and that for such a ‘distinguished figure he was refreshingly down to earth and approachable, highly popular with his students everywhere’. Throughout Beck’s work – with its democratic smog, manufactured uncertainties, unintended side-effects, organised irresponsibility, boomerang effects, hierarchical pluralism and zombie categories – there is a strong sense, even celebration of irony, and an often overlooked dark sense of humour. Literally and figuratively a big character in sociological circles, he was not too big to engage with his less famous colleagues around the world. More so than others of his stature, he was a regular at events of the International Sociological Association, and in the experience of one of the authors (Dan) even willing to talk about the state of youth sociology over a coffee at such an event with a young scholar from Australia. Beck has had great impact in the sociology of youth. Much of the work in our field grapples with the way young people are impelled to struggle for ‘biographical solution of systemic contradictions’. The concepts he developed or popularised in his efforts to understand the metamorphosis underway in social life – individualisation, reflexivity, risk, and cosmpolitanisation – are among the most used, and hotly contested in our journals and conferences. The key to his work is that we are in the middle of a momentous shift to a new modernity. Many of the changes he claimed were emerging would likely first manifest themselves in the lives of young people, and it is in youth studies that many of his ideas have been put to use and put to the test. Beck provocatively asked whether the key concepts that sociologists use are up to the task of tracing this emerging new modernity. Probably most provocative of all he asked whether class was such a ‘zombie category’, continuing on as if it was alive but really just an empty shell. Some have seen his challenge as a nefarious dismissal of class, one to be debunked with the overwhelming evidence that socio-economic inequalities continues to shape young lives. Others have understood it as a productive challenge to the discipline, a call to show how class (and other divisions and inequalities) manifest in the context of social and generational change. This is the direction we have taken in our own research. While we don’t agree with everything he has said about social change, or in his writing where he has turned his own thoughts to the sociology of youth (often with his partner Elizabeth Beck-Gernsheim, a famous sociologist in her own right), by placing the notion of risk at the centre of both globalising forces and individual lives, Beck’s ideas have helped drive the sociology of youth into the 21st Century. Whether agreeing with, developing, or debunking their ideas, the famous thinkers of this generation, the likes of Beck, Butler, Deleuze, Foucault and Bourdieu, have provided a shared reference point for the sociology of youth, and sociology widely. For better or worse, figures with such influence are yet to and may never emerge in the following generation. While a range of theories, particularly from a greater diversity of people and places will enrich our work, without a new generation of big thinkers like Ulrich Beck, wide ranging and generous in the scope of ideas that they can bring together, it is worth pondering what will hold the sociology of youth together. Many forces in our new modernity seem to point towards fragmentation. Admiration, and sometimes admonition, of Beck’s ideas have helped shape youth sociology, and helped the field hold its shape over recent decades. This is a legacy worth celebrating. [i] ‘Death of One’s Own, Life of One’s Own: Hopes from Transience’ in Ulrich Beck and Elisabeth Beck-Gernsheim, 2002, Individualization: Institutionalized Individualism and its Social and Political Consequences, Sage: London. This entry was posted in Uncategorized and tagged individualization, reflexivity, risk, social theory, Sociology, sociology of youth, Ulrich Beck, Youth. Bookmark the permalink.